Reginae Carter shared a photo on her social media account featuring herself and her BFF Zonnique Pullins. 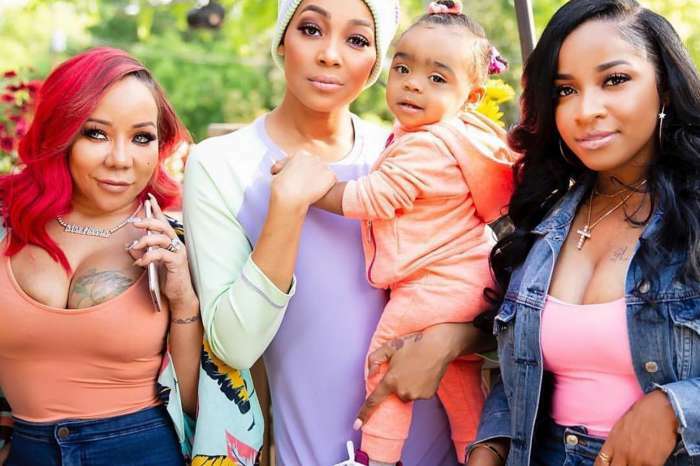 Their fans are delighted to see the pic because for a while she hasn’t shared anything new with Tiny Harris’ daughter on Instagram and more fans started to accuse her that she broke her friendship with Zonnique. This latest post comes to deny all rumors, as the girls are still hanging out together. Fans flooded Reginae’s comments section with praises for both ladies, and lots of fans expressed their joy to see that these two are still BFFs. Kinda Bad , Kinda Boujee ? ‘Kinda Bad, Kinda Boujee ?’ Reginae captioned the pic in which both ladies are rocking the same hairstyle. Another person wrote ‘This is what living your best life should look like love yall baby girls ??? ?’ while one other commenter said that they knew their friendship could not be over. Reginae recently gushed over her dad Lil Wayne on social media as well. She shared a photo in which she is together with Wayne. More of her followers told Toya Wright’s daughter that she looks just like her father. They usually tell her that she’s twinning with her mom.